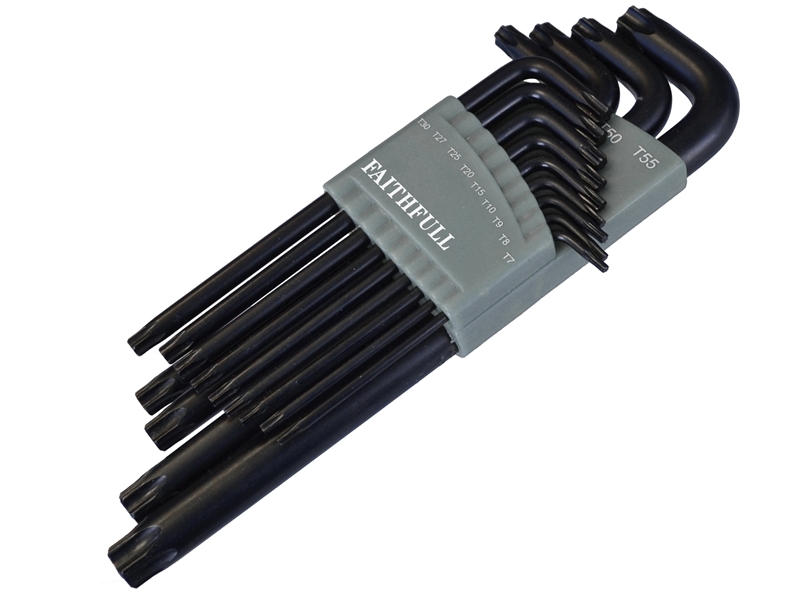 Faithfull Long series L–shaped, double ended Star (Torx compatible) keys. Torx screws are now commonly found on automobiles, motorcycles, bicycle brake systems (disc brakes), hard disk drives, computer systems and consumer electronics. The set is supplied in an ergonomic double lay, open out storage caddy which allows easy access to the smaller keys. Sizes: T7, T8, T9, T10, T15, T20 T25, T27, T30, T40, T45, T50 and T55.